These were the interest.co.nz headlines following the largest three general insurers in New Zealand releasing their 2017 financial results. The narrative that rang loud and clear was that insurers’ motor claims costs were soaring - largely due to there being more cars on the road, car parts becoming increasingly complex and labour more costly. Naturally, insurers were responding by hiking premiums. Industry figures collected by the Insurance Council of New Zealand show that the amount insurers have paid for private and commercial motor claims as a proportion of premiums has increased in recent years. The loss ratio for motor insurance rose from 64% in 2013 to 74% in 2016 (2017 statistics aren’t available yet). This essentially means that for every dollar insurers received in premiums, they paid 74 cents in claims. The last time the claims ratio for motor reached 70% was between 2007 and 2009. Along with premium hikes, insurers are also tweaking excesses to get on top rising claims costs. So what does this mean for you and I? Exactly how much more are we paying for car insurance? It is impossible to know exactly. But a relatively unscientific interest.co.nz case study shows comprehensive car insurance premiums have risen by 20% over two years. We came to this conclusion by creating eight profiles of different sorts of people with different cars, and getting quotes from 10 insurance brands for these profiles in January 2016, and then again in January 2018. The insurance brands we used included some of those owned/underwritten by IAG (AMI, State, ASB, BNZ, Westpac), Suncorp/Vero (AA Insurance - which is part owned by the AA - ANZ, Warehouse Money), and Tower (Tower and Trade Me Insurance). While depreciation has meant some insurers wouldn’t insure the cars for as much in 2018 as they did in 2016, we did our best to try to compare like for like. Adding up all 80 quotes from 2016, and all 80 from 2018, the difference between the totals was 20%. Zooming in on different insurance brands, the increases experienced by each one ranged from 6% to 42%. The median increase was 18%. Tower was the company with the 42% increase. While our sample size is far too small for one to conclude all of Tower’s premiums would’ve undergone such hikes, it is interesting to note the increases across the eight profiles ranged from 24% to 52%. The 52% rise was for a 30-year-old driving a 2015 Audi A4. In 2016 that person would’ve paid $1,534 a year, while in 2018 they would’ve paid $2,334. While the car was insured for $74,000 in 2016, the maximum it could have been insured for in January 2018 was only $62,040. Interestingly the Tower quotes that increased by 24% were for a 2005 Holden Commodore - a car the insurer deemed high risk, so could only be insured if it was parked in a garage, incurred a higher excess, and wasn’t driven by anyone under 25 unless they had their full licence and five years driving experience. Tower hadn’t placed these condition on this car in 2016. The move supports Tower’s 2017 annual results pointing out it was working on “Sophisticated pricing and underwriting to offset claims inflation and improve long-term profitability”. IAG and Suncorp made similar comments in their results, also flagging excess increases and more disciplined underwriting. Trade Me Insurance was the brand that experienced the second highest premium hikes across the eight profiles in the study. Yet this increase was only 26% overall, with individual quotes increasing by between 4% and 51%. The insurance brand that experienced the lowest increase of 6% was Westpac. The increases across individual profiles didn’t range much in magnitude. The hikes experienced by the rest of the brands in the case study generally hovered around percentages in the late teens to early 20s. There were only two profiles that didn’t experience premium increases between 2016 and 2018 - those for 30 and 50-year-olds taking out policies with AMI to insure their 2013 Toyota Corollas. Yet this was an anomaly, as the other AMI quotes in the study increased by between 18% and 39%. While Tower’s hikes stand out from the pack in this case study, the sample size is too small to draw set conclusions around which brands have hiked premiums most and least aggressively. The conclusion that can be drawn with a fair amount of certainty is that premiums across the board have risen substantially, and increases can fluctuate quite a bit depending on the sort of car being insured. This comes to show the value in paying attention to how much your premium changes when your policy comes up for renewal each year, and perhaps shopping around to see if you can get a better deal. However, insurance should not be bought on price alone. Quality is key. Stay tuned for another story using interest.co.nz's data to weigh up which insurance brands give you the best bang for your buck. You can see the raw data from the 2016 study here, and 2018 study here. NZI, Vero, AMP Everyday Online and Youi have been added in the 2018 study, so will be included in the next article. Why aren't policies tailored to the individual.It seems to me that these companies make certain assumptions on people and thats a starting point for pricing. I believe that was (is) YOUIs point of difference. Doesn't matter what way you tailor the policy - you will get screwed. ... if it was any other firm I wouldn't have a problem with it ... but as it's coming from YOUI , the " We get you " slogan sounds seriously sinister ... brrrrrrrrrrrrrrrrr ! Yeah, sounds like it's going to be accompanied by a bloody horse's head in your bedsheets. They make you an offer you can't refuse - because you didn't know you had signed up in the first place. 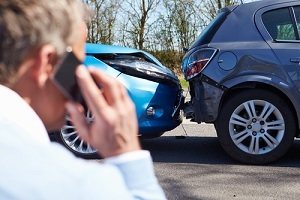 If you are insured and have an accident with an uninsured vehicle in which the other party was at fault, your insurance company will pay out on your claim and seek the cost of that claim from the person who was at fault. Insurance companies don't like to eat the cost! AA = Absolutely Amazing ! My insurance company couldn't be bothered and then charged me my excess. Very annoying. It is pleasing to see that at least for interest.co.nz, investigative journalism is still alive and well. Perhaps an increase in overseas drivers is an impact. Pun not intended. "However, insurance should not be bought on price alone. Quality is key. Stay tuned for another story using interest.co.nz's data to weigh up which insurance brands give you the best bang for your buck." The problem is, that in a world where official inflation and wage growth is zero. The cost of living seems to be shooting away. Stick $80 on car reg, and give all cars 3rd party. But given the amount of times you read in the news "no warrant, no license, no rego" I don't think it will help all that much. I don't know why more people don't have 3rd party insurance only. With it, there is a huge incentive not to have a prang. I drive like I would have to fork out the repair cost to my own car. No tailgating from me! In the article, I don't know why there was no mention made of the new fire service levy on 3rd party policies. too make it like for like, shouldn't you be comparing the two year old 2015 A4 quote with a 2018 quote for a 2017 A4? In 2030 will you still be getting quotes on a 2015 A4 and being surprised the premium has dropped?